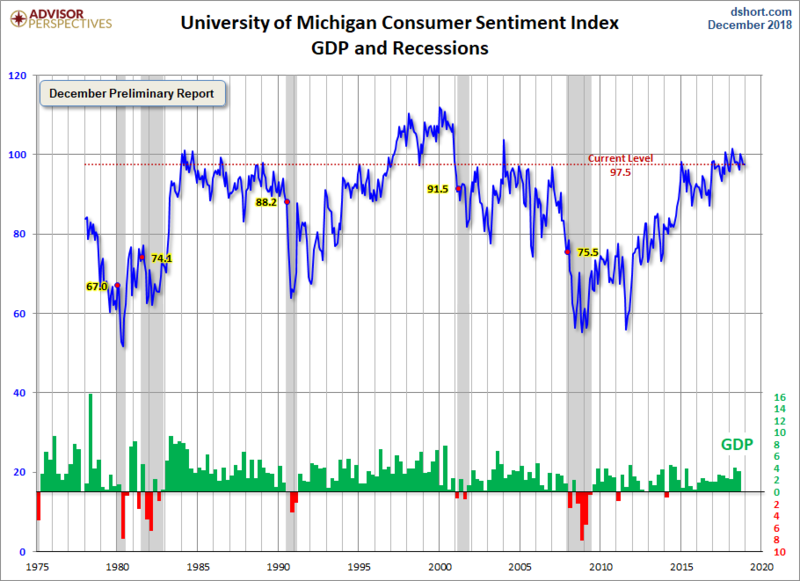 The University of Michigan Preliminary Consumer Sentiment for December came in at 97.5, unchanged from the November Final reading. Investing.com had forecast 97.1. To put today's report into the larger historical context since its beginning in 1978, consumer sentiment is 13.3 percent above the average reading (arithmetic mean) and 14.6 percent above the geometric mean. The current index level is at the 86th percentile of the 492 monthly data points in this series.